World class high efficiency condensing boilers specially designed for today's commercial demands. The R600 EVO series of floorstanding, pre-mix modulating, high efficient condensing boilers represents a significant step forward in heating technology. With extremely flexible configurations, clever design and a range of 7 models available, the boiler is perfect for a variety of commercial applications. Plus, extensive cascade arrangements of up to 8 boilers with a combined output of 4.560 kW are possible. Impressive lifetime high efficiency (up to 110%) and low emissions. Stunning flexibility for every application – its lightweight construction with low water content also allows rooftop installations. Compact dimensions with 2 widths to pass through standard 760 mm wide doors. 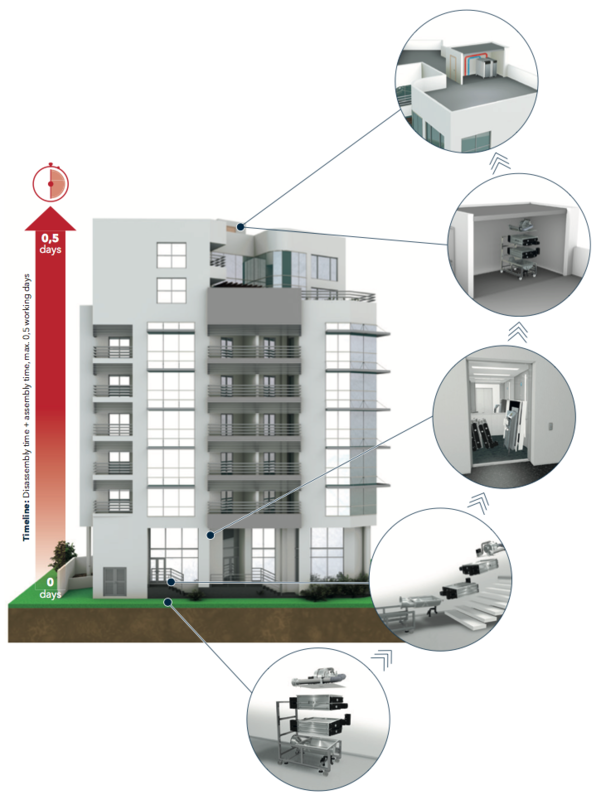 Smart modular concept for easy installation also into buildings with restricted access. A clear text display with integrated master-slave cascade functionality (up to 8 boilers) makes commissioning simple. Plus, upgradable module capacity provides straightforward connections for additional heating zones, solar system or external heat sources. With an 8 bar max. water pressure, the boiler is compatible with higher buildings without the need for hydraulic system separation. Plus, a 30K flow/return temperature differential allows easier integration with district heating systems while maintaining optimum efficiency. All models are designed to pass through standard 760 mm wide doors. The range comprises 7 models with 2 widths. The inspection glass and ignition electrode can be fitted on either side of the boiler, allowing a more flexible boiler positioning on site. An integrated flue gas damper and rear flue connection provides an installer-friendly arrangement. The boiler is supplied with cargo wheels, allowing it to be easily manoeuvred on site. After positioning, the boiler can be levelled and lifted from its cargo wheels by adjusting the feet. can be easily installed on a rooftop – while also delivering superb response times and reduced running costs. 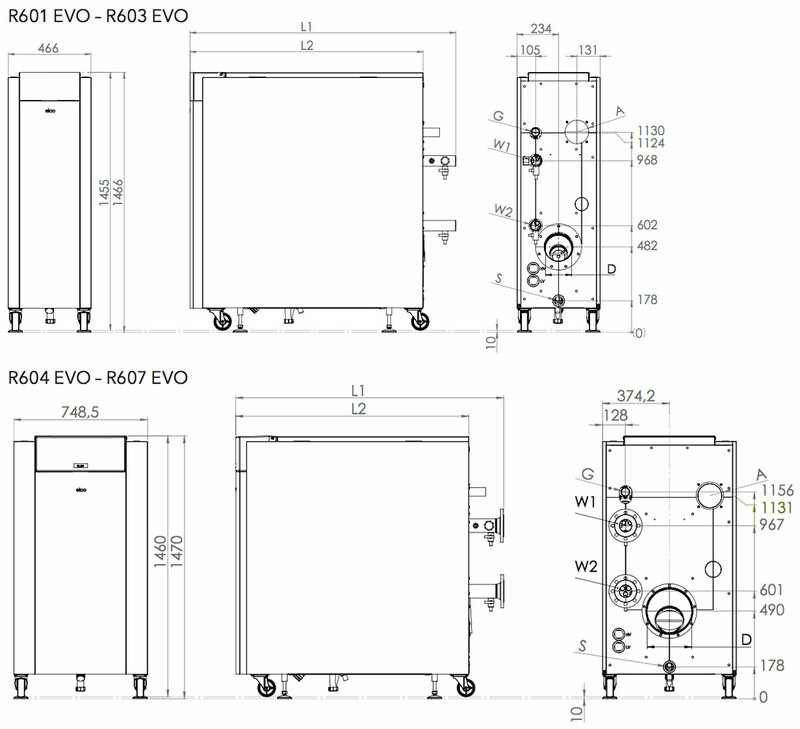 All R600 EVO boilers can be disassembled for easy on site handling. This also allows the boiler to be easily installed into buildings with restricted access. Consolidated Fire & Steam has been in operation for over 35 years. We manufacture unattended steam boilers, steam generators and ancillary equipment. 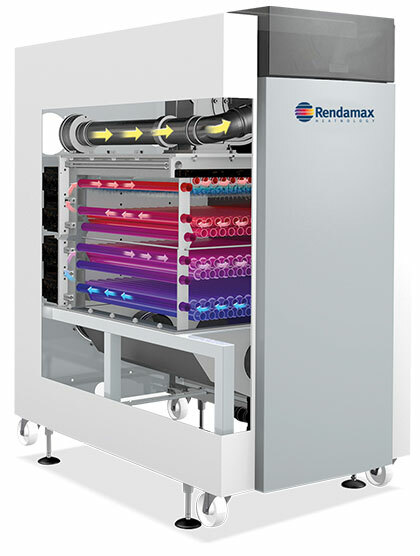 Consolidated Fire & Steam offer the Presha range of boilers, Rendamax high efficiency products and are also an agent for Grundfos pumps. Copyright © 2017 Consolidated Fire & Steam | Website by Logomonsta.